Poor Albert was a very unhappy platypus condemned to a life of boredom and ridicule in an Adelaide zoo, where he was continually mocked and humiliated by gawkers. 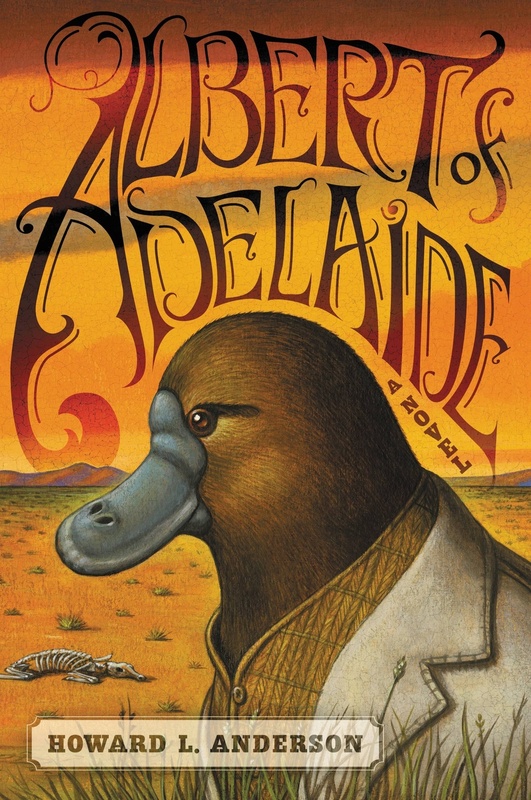 Albert, being a private platypus who found being on constant display a burden, engineered an escape and began to make his way to the "Old Australia" were creatures could live peacefully and freely as was always intended. Albert of Adelaide (M) by Howard Anderson would likely appeal to readers who enjoyed Watership Down (M) by Richard Adams and Yann Martel's Life of Pi (M). It's a epic quest journey, a western, a road novel, a fantasy, and maybe a touch of parable all rolled up in one displaced platypus and a band of rogue marsupials. Albert's life began in tragedy when he witnessed his mother's violent death at hands (or jaws) of a terrifying dingo. His capture and incarceration in the Adelaide zoo made him long for what he believed to be his natural environment "Old Australia". As he traveled deeper into the outback, armed with only a plastic water bottle to remind him of his past life, he began to fear he has lost his way. Platypuses are naturally water-loving animals and progressing further into the desert alarming Albert until he met a wombat named Jack, sitting by a fire, who offered him a cup of tea. Jack, who also happened to have a wee problem with starting fires, was the first of several significant friendships form on this journey. There was also Muldoon the famous Tasmanian devil wrestler, and TJ the American raccoon who happened onto the wrong boat in San Francisco. Life wasn't all tea and friendship for Albert as he encountered signs which barred non-marsupials from drinking establishments. He met wallabies who were vindictive and not to be relied upon, bandicoots who lacked intelligence and whose loyalties couldn't be trusted and dingoes who appeared to form a band of menacing soldiers for hire. In the outback the animals wear clothes, eat tinned sardines, drink lots of alcohol, gamble (they have a form of currency), fight and have their own brand of justice. Albert of Adelaide is a story about a quest for an ideally imagined life and the friendships that are formed along the way. On the back cover there is an author endorsement that reads, "If Larry McMurtry had written The Wind in the Willows, he might have come up with something as wonderful and moving as Howard Anderson's Albert of Adelaide." This is such a unique book that it is hard to come up with other reading suggestions. The lighthearted animal component made me think of Come Thou Tortoise (M) by Jessica Grant, while the epic quest through a hostile environment reminded me of The Road (M) by Cormac McCarthy. Then, there is Lonesome Dove (M) by Larry McMurtry with its wild west theme, and violence and buckets of shed blood.